Designers regularly draw in 3D, often adding colour / rendering. 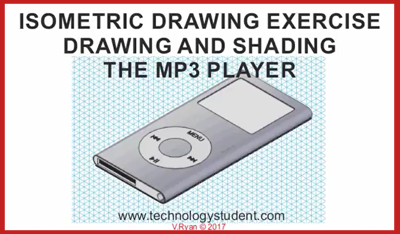 An orthographic drawing of a mp3 player is seen below (the mp3 player has been ‘enlarged’ for drawing purposes). 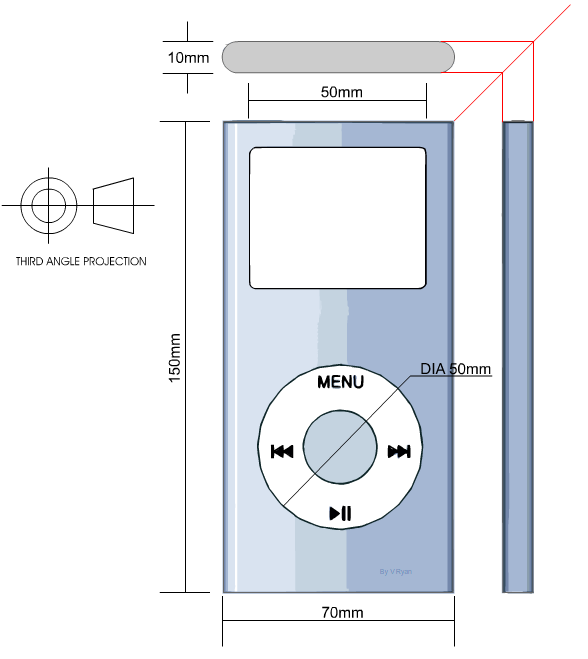 Some of the measurements / dimensions are included. 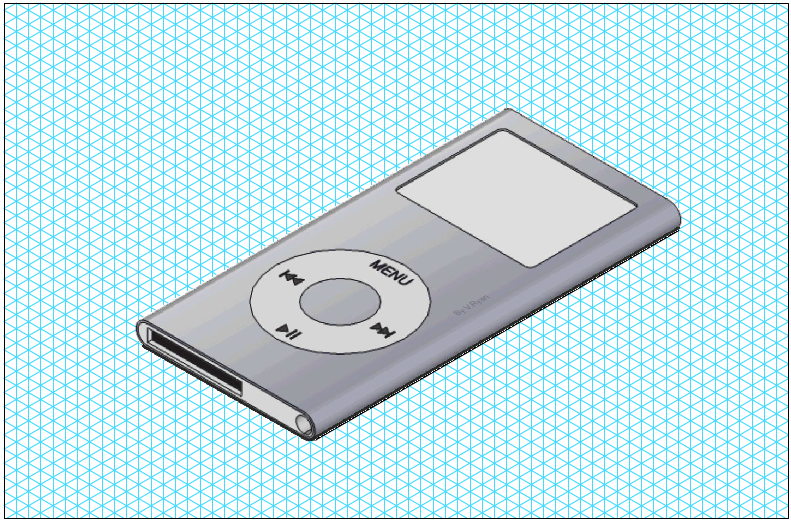 Draw the mp3 player in isometric projection, estimating any measurements that are not listed. Add suitable colour and shade (click here for sample shading techniques). Add thick lines to emphasise some lines / edges.